This ESB 41-Back R2-D2 Sensorscope is referred to as a Quality Assurance/Quality Control (QA/QC) sample. Carded figures of this nature are utilized for approval to determine if the final product meets specific criteria in terms of packaging quality, etc. 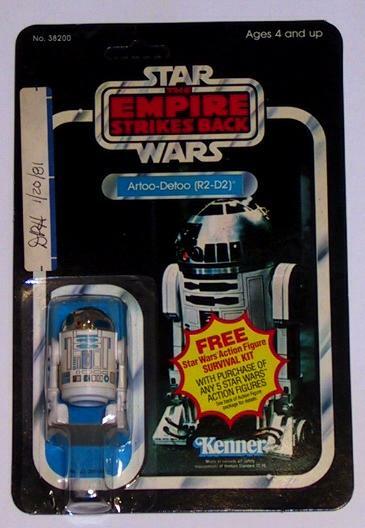 The card front contains the intials of the appropriate Kenner quality control engineer who signed off on this piece and the date of that signature.